The Electric Guitar Innovation Lab (EGIL) explores opportunities for research, innovation, and education related to the electric guitar and the various components associated with the electric guitar including instrument design and modification, amplifiers, pickups, effects processors, and more. The lab is part of the research of V.J. Manzo, Associate Professor of Music at WPI and Principal Investigator (PI). The efforts of the EGIL, therein, include collaborations with faculty and key personnel as well as external professional musicians and innovators from industry. Through the EGIL, WPI students have a unique opportunity to work alongside the PI in a variety of interdisciplinary and open-ended projects related to the development of new innovations and adaptations related to the electric guitar. The projects explored through the lab originate from real-world issues and obstacles guitarists face on stage and in the studio. We address these problems by partnering with key individuals including musicians, recording engineers, and industry to create new areas of innovation. The figure below depicts the structure of work conducted through the lab in two broad categories of Scholarship and Education. This structure and the associated goals are described herein. Our scholarship is evidenced through peer-reviewed publications as well as research in service to the profession and industry. This section describes some of the areas of the EGIL exploration under two main areas of Innovation and Research, both of which include subsections describing more specific aspects of our scholarship by citing specific examples. Though this lab officially began in 2018, a few key projects under the advisement of the PI were conducted in prior years in order to probe the viability of such a lab at WPI. The EGIL conducts research in areas related to electric guitar performance and composition originating from and under the direction of the PI. 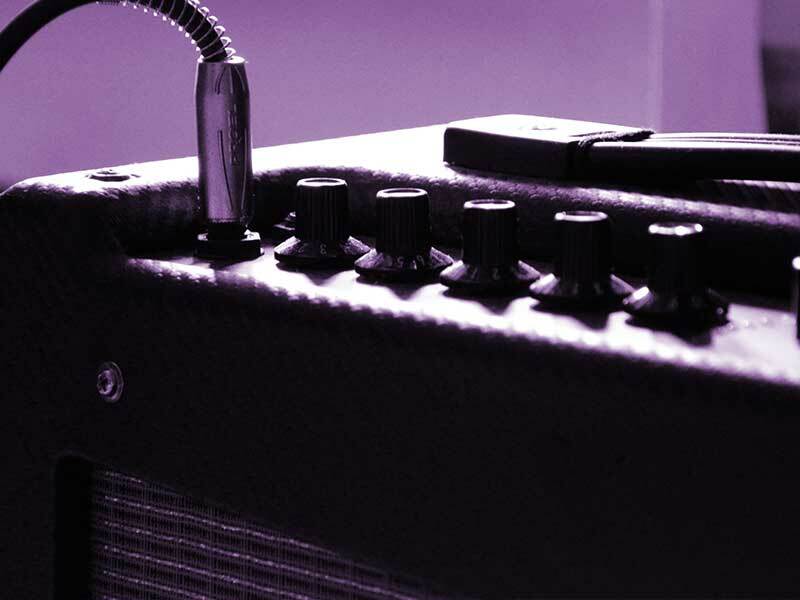 The innovations that result include the creation and modification of electric guitars and components, effects processors and components, amplification systems and components, and additional devices that contribute to performance and composition. Inherent through these innovation processes are opportunities for project-based research opportunities under the advisement and direction of the PI as well as sponsored-project opportunities from industry professionals. These innovations may have the potential to appeal to musicians and industries small and large. 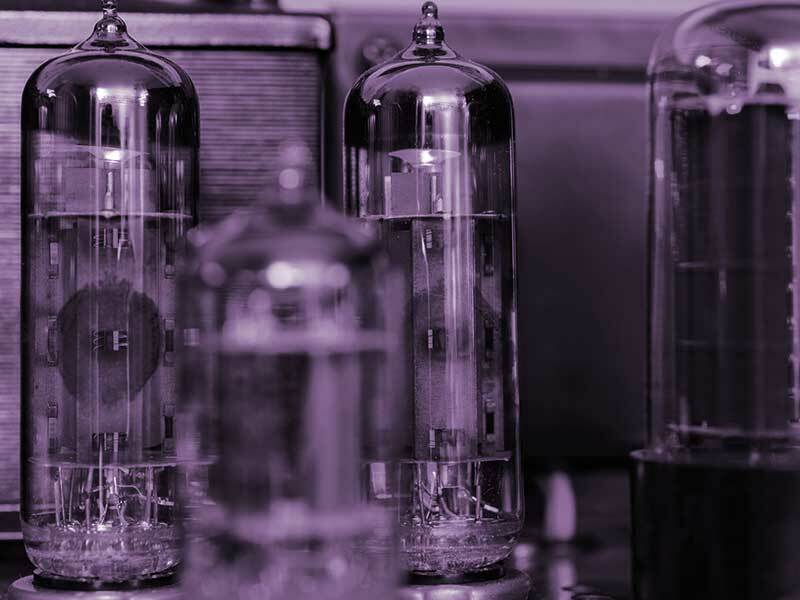 While most areas of research explored originate from the PI, the PI may solicit ideas from musicians and industries to sponsor research projects that have overlapping areas of interest. The creation of novel innovations may lead to the formation of new businesses that leverage the infrastructure already in place at WPI including WPI’s Technology Transfer Office and the Tech Advisor Network (TAN). As one example of this, the PI worked with a WPI alumnus to invent a novel guitar component, and, in 2018, the idea led to the formation of a new business that worked closely under advisement of the TAN to bring the invention to the market. The potential exists for innovations to be patented and licensed to industry. As an example, in 2017, the PI worked with WPI’s Technology Transfer Office to patent an original multichannel guitar jack component developed and refined through the EGIL. The infrastructure and cross-disciplinary collaborations at WPI make it an ideal home for a lab like the EGIL. Music industry professionals including instrument-makers, effects designers, and other manufacturers are potential collaborators for sponsored research opportunities at WPI through the EGIL. As an example of this, in 2018, master luthier and inventor Ken Parker (Ken Parker Archtop Guitars) began a collaboration with the EGIL to create a lightweight, reinforced instrument case suitable for use with the handmade archtop guitars he builds. The collaboration presented an opportunity for student researchers to work under the advisement of the PI and alongside this well-known and highly-regarded industry professional on an invention that will have broad and high-profile exposure to the music profession. The areas of research explored by the lab originate either from the PI, an active composer and performer or from connections made through the PI. 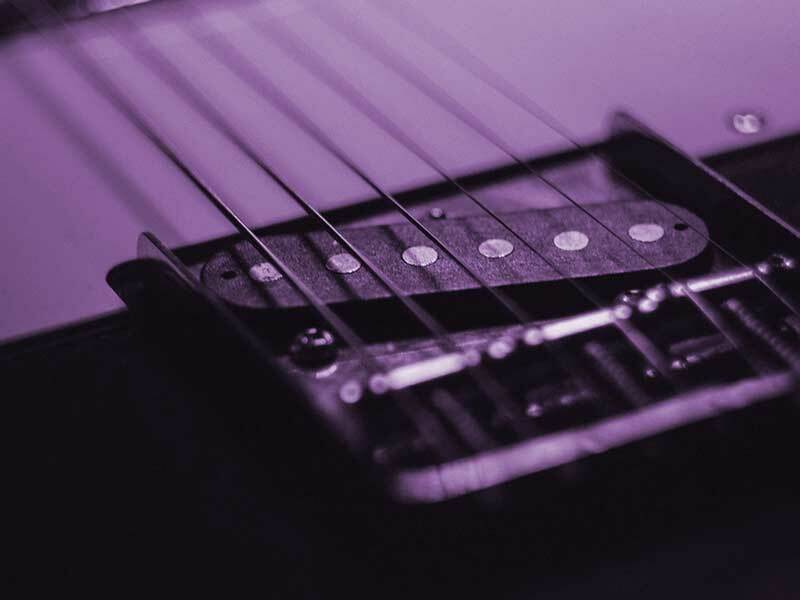 While some ideas have the potential for commercialization, the primary research focus of the EGIL is to create innovative ways to enhance electric guitar composition and performance. In this regard, it would be impractical for research ideas to be considered without the expertise and knowledge of performing and composing musicians. The greatest potential for receiving national grants related to electric guitar research is likely by tying electric guitar innovations and concepts to larger problems like “teaching STEM concepts to underrepresented STEM audiences”. Several areas of research have the potential to receive support from external grant organizations. As one such example, the EGIL is examining the ways in which STEM-education concepts about signal processing, by way of building electric guitars, may be better-understood by populations that are underrepresented by traditional STEM programs. Such programs could explain these abstract concepts through real-world project-based learning opportunities where individuals make hands-on use professional tools, in maker-spacers and elsewhere, to build electric guitars, wire them with electronics, and experiment with various ancillary components like amplifiers and signal processing effects. Research efforts that use electric guitar-building programs to convey STEM concepts may present a variety of unique insights into reaching demographics that would otherwise not be interested in STEM areas. 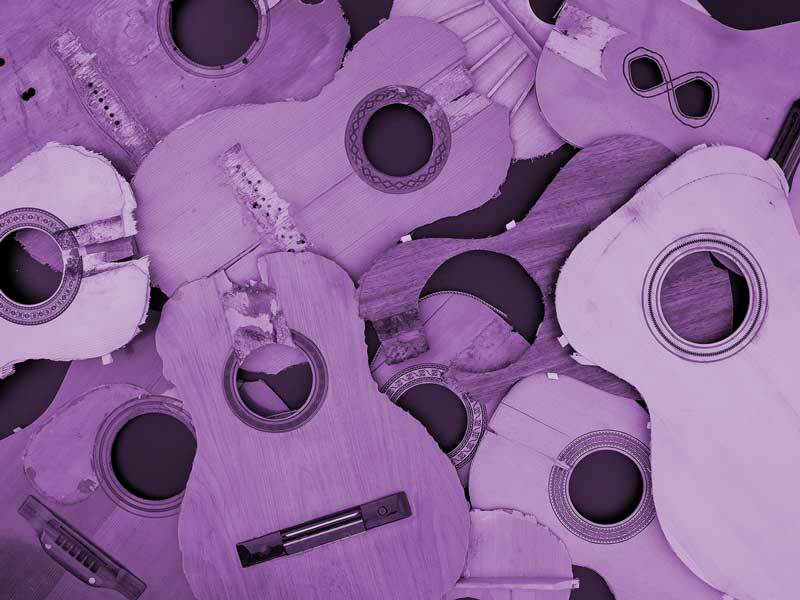 Such efforts could also partner with music education programs through which, as proposed, at-risk youth build their own guitars and then learn to play them. There are private organizations, individuals, and small industries that may have interest in sponsoring research in electric guitar innovation in and of itself. These organizations could be potential sponsors of research projects where the problems related to electric guitar composition and performance are open-ended and even social. For example, in 2018, the lab was responsible for converting a professional musician’s six-string electric guitar into a 12-string electric guitar. Through projects like this, the EGIL can undertake unique “one-off” projects that, in themselves yield visibility for the lab within the profession, and may, in turn, lead to new and larger areas of scholarship. The deliverable for much research in the EGIL is two-fold: the creation of new inventions and the dissemination of information. While the former is typically delivered through innovation and entrepreneurship outlets, the latter has been the embraced by the PI through peer-reviewed publications and invited presentations and lectures at universities and conferences. The EGIL, when considered as part of WPI’s larger infrastructure, can serve as a knowledge-base for professional musicians. 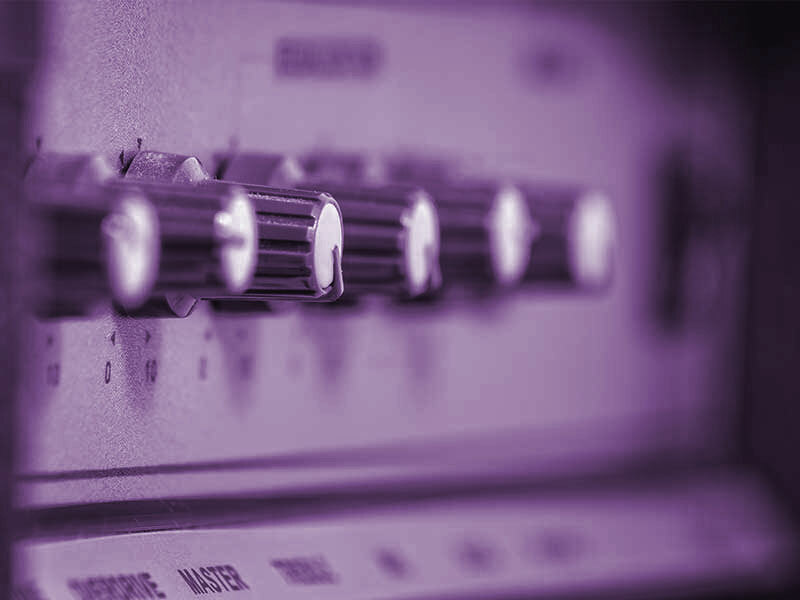 As we grow as a lab, we will be able to share insight about guitar-specific innovations on a more visible platform. Such visibility can take the form of hosting or participating in webinars, conferences, and trade shows. As a component of WPI, the EGIL not only represents an avenue for scholarly output, but also an opportunity for students to participate in hands-on project-based learning opportunities under the direction and advisement of the PI. WPI students share a large interest in electrical engineering, mechanical engineering, robotics, and computer science in addition to the PIs area of music technology. Many WPI students possess unique interdisciplinary interests, especially in terms of the engineering mindsets and their musical pursuits. In the years leading up to the official formation of the EGIL, the PI solicited the WPI undergraduate student body for individuals interested in working on electric guitar-related projects; the solicitation was met with an overwhelmingly positive response. As the lab grows and begins to garner support from sponsors, industry, and private donors, there will be additional opportunities for research; this research can create unique opportunities for undergraduate and graduate student learning. Currently, students have volunteered their time to work alongside the PI on projects including projects tied to industry-related research. As an example, in 2017, a cross-disciplinary MQP project was co-advised between the PI and Professor of Mechanical Engineering John Sullivan. In this regard, the true essence of cross-disciplinary and interdisciplinary collaboration fostered and embodied by WPI faculty makes it the ideal place for the EGIL to grow and remain vital to the music profession. 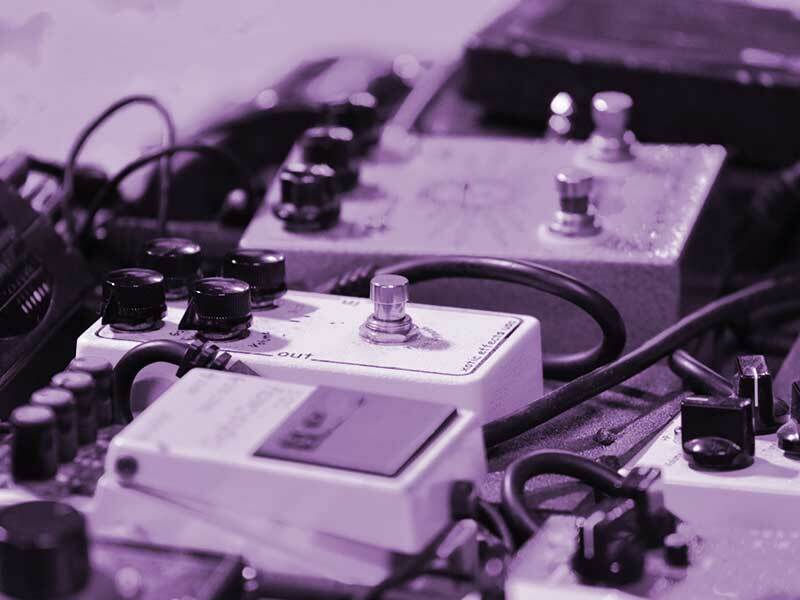 As an outgrowth of the interest in electric guitar-related research, the EGIL can host special workshops for WPI undergraduate students, where students learn specific aspects of guitar-building, electronics-wiring, effects-building and more. As the lab grows and continues to gain financial support, we intend to offer workshops like these to WPI students without fees as a way of piloting programs that may have general interest to the public. The EGIL presents a unique opportunity for musicians of varying levels and experiences to learn about concepts related to the electric guitar. As the lab grows, these opportunities may include special workshops, certification programs, camps, maker-space collaborations, and other educational opportunities. As the lab continues to grow, public workshops related to general interest topics may be a viable way of engaging with practitioners in the music profession. 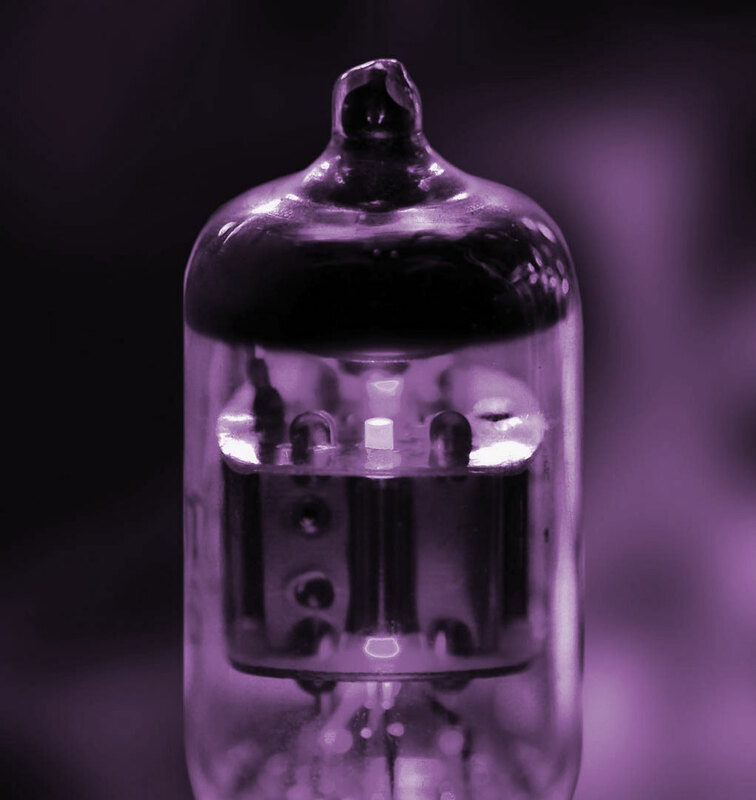 Specifically, workshops related to instrument building, electronics-wiring, effect manufacturing, and amplifier modification may have broad appeal to active performing musicians who are unfamiliar with these concepts in any formal sense. Such programs could be self-sustaining and present an opportunity for the lab to expand and hire staff to continue to further its efforts. As previously described in the Grants section, the EGIL also lends itself to be involved in outreach programs where the electric guitar can be used as a means of conveying some other information including STEM-content knowledge, problem-solving skills, middle-skills job preparation, and preparation for the skills of tomorrow through hands-on, project-based learning programs. As an example, in 2018, the PI began collaborating with a Massachusetts-based after-school education program and makerspace developing a program for young people where at-risk youth learn STEM concepts by way of building electric guitars. Through such a program, individuals will learn problem-solving, abstract concepts, and some of the skills necessary to navigate and operate the equipment in a makerspace. Through the Electric Guitar Innovation Lab, WPI students and faculty work together in a variety of interdisciplinary and open-ended projects to develop new innovations related to the electric guitar, including the modification to instruments and components, stompboxes and other effects processors, amplifiers and speaker components, and related inventions and adaptations. The projects we explore typically originate from real-world issues and obstacles guitarists face on stage and in the studio. We address these problems and often partner with key individuals from industry to create new areas of innovation. These sponsors include luthiers, engineers, manufacturers, and more. We are always looking to collaborate with new potential sponsors. The Electric Guitar Innovation Lab works with individual artists, non-profits, and companies to explore areas of interest and develop new approaches and innovations. These also projects present opportunities for students to gain real-world experience and under advisement of the lab PI. Please allow us to get in touch with you! Our team converted a 6-string electric guitar to a 12-string electric guitar. Master luthier Ken Parker gave a lecture for EGIL at WPI on innovation in guitar-making. We are currently designing a patent-pending multichannel output jack for electric guitar that provides discrete pickup output for each of your instrument's pickups. Join our mailinglist below for more info on this project! You can support the Electric Guitar Innovation Lab by making a donation. As an outreach of WPI's music divison, your support can help further our research.